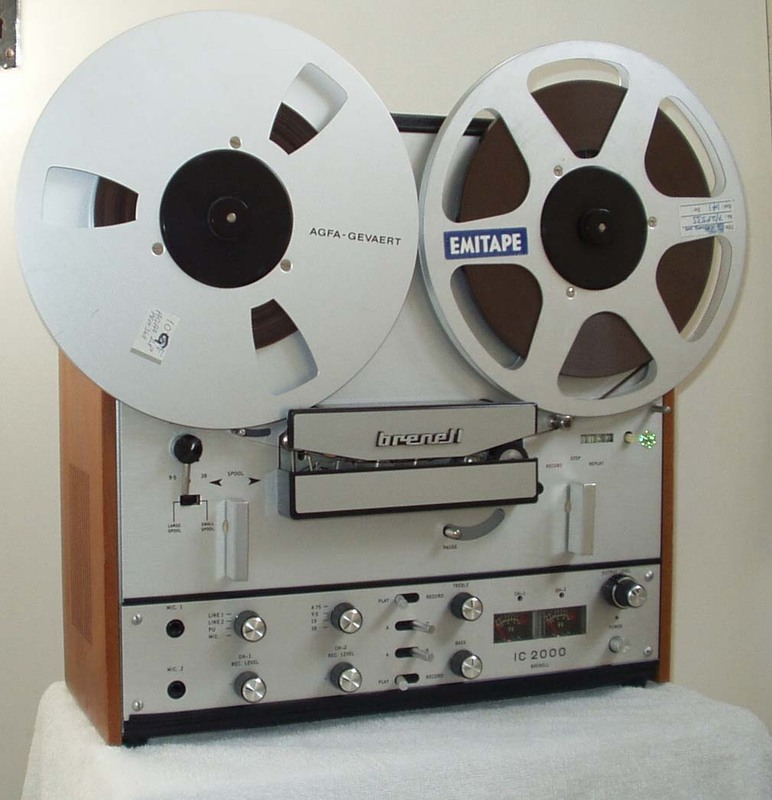 The 1970s would bring a revolution to the tape-recorder industry for by the late 1960s, Philip's "Compact Cassette" had come of age and, with radical improvements in tape technology, the humble cassette was rapidly approaching acceptable standards of "domestic hi-fi". The development of greatly improved car cassette players transformed the versatile cassette into the medium of choice, ousting the reel to reel recorder from the domestic user market and the cheaper Collaro and BSR based decks, such as used by Elizabethan and Fidelity, disappeared. As manufacturers increasingly turned to branded, Japanese-made cassette decks, few of Britain's smaller tape-recorder manufacturers were able to survive although Britain's Thorn group produced a well received cassette deck. A few turned to the high-end domestic and semi-professional market but even that was fraught with problems following the introduction in 1966 of the revolutionary 10-1/2" Revox A77, which overnight set new standards in hi--fi performance, sounding the death knell for Ferrograph which failed to fully recover following the hasty introduction of their flawed Series 7, added to which, neither Ferrograph nor Truvox offered 10-1/2" models. Brenell was already at a crucial cross-roads. Robert Hahn and many of his staff were approaching their retirement and their valved Mk.5 and STB2 models were increasingly looking old fashioned and out of place compared to the crisp, teak veneered Scandinavian style of the modern push-button, transistorised 1970s home! A new design impetus came to Brenell's rescue about 1968 through Frank Underhill (formerly of TRD who later took over from Brenell's long serving designer, J W Raine). The result was an updated Mk.5 Srs 3 deck fitted with a brushed aluminium finish and new, rectangular black plastic head covers and rhomboid control knobs with silver arrow inserts. There was a new end of tape auto-stop pin and greatly improved lockable pause control, which swung through an arc, allowing instant starts. 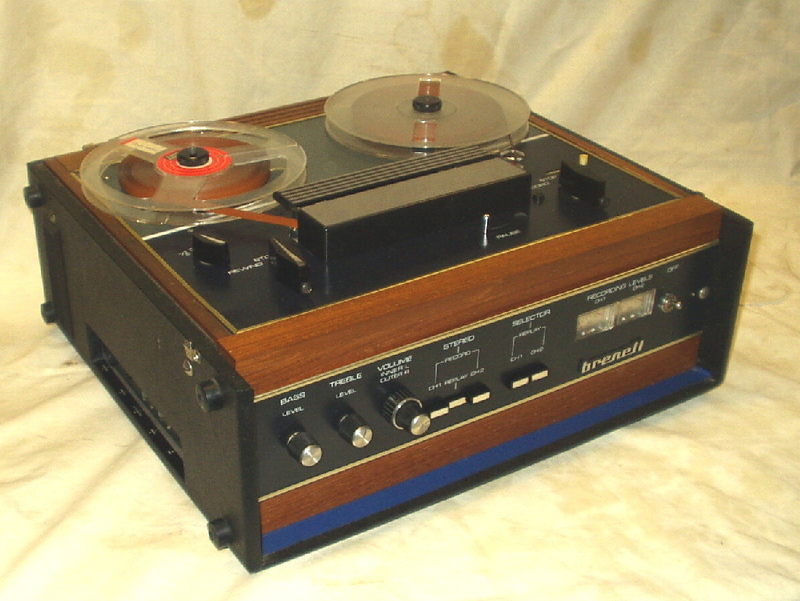 The new 8-1/4" domestic portable was launched as the ST200 1/2 track stereo in 1969 heralding "The Sounds of the 70s", setting an exciting new style in domestic tape-recorders, albeit with basic 2-head facilities, fitted into an attractive new charcoal leathercloth and teak trimmed cabinet of much reduced size by virtue of the new transistorised, under-deck amplifier pcb. It was soon joined by a 1/4 track model, the ST400, but its promising future was soon dashed as it proved to be an extremely awkward machine to service as the entire electronics board had to be removed for the simplest of repairs. It was even loathed by Brenell's own service department and it is suspected that its rarity now is mostly due to many being scrapped by distraught owners! Never-the-less it was clearly appreciated as the author's three examples were all owned by musicians - its miniature monitor speakers reproduced quite well. The domestic ST200 was joined in 1970 by a transistorised, 8-1/4" mono Mk.6 Mono selling alongside the Mk.5/STB range. The 3-head, full, 1/2 or 1/4 track Mk.6 was a semi-professional model using an improved ST deck, designed for horizontal or upright operation - a first for Brenell. The new transistorised pre-amplifier was now mounted flush with the deck with the whole ensemble being raised on a pair of pivot pins on the side of the new cabinet, giving unequalled access. Unfortunately it was increasingly evident that modern 'value engineering' had deprived the new model of the Mk.5's rugged, over-engineered qualities: the plywood cabinet was much flimsier and many trim parts were simply glued into place. Even the pre-amplifier control buttons had spun aluminium caps on plastic bodies. The encased pre-amp included full mixing facilities with cross-fade for radio, microphone, and ceramic or moving coil gramophone inputs, together with the usual frequency equalisation circuits, now engaged by push buttons, and A:B off-tape monitoring. Its sound reproduction from the internal ELAC speaker was superb - as expected from a Brenell. Within a year, a Mk.6 Stereo had appeared featuring a new transistorised stereo pre--amplifier for connecting to an external amplifier and as such, lacked some of the features found on the Mk.6 mono: there were no internal monitor speakers for example, however it retained basic mixing and A:B monitoring. Unlike the encased Mk.6 pre-amplifier, the suspended Mk.6 stereo pcb was open to the elements and prone to damage when raising or lowering the hinged deck plate during service. The stereo pre-amplifier was also sold separately as their new transistorised 'Tape Link' with the old valve Tape Link remaining in production for a while longer. 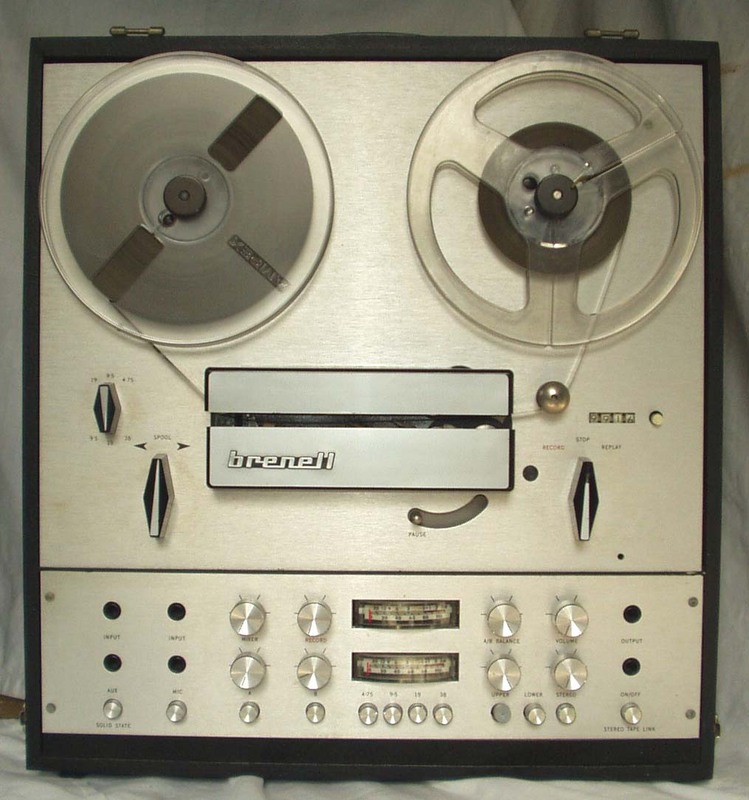 Although sound quality from these new transistor models was stunning, the domestic user reel-to-reel market was rapidly changing. Consumers had become smitten with the ultra-modern and ultra-reliable Japanese models, rejecting the rather agricultural British dinosaurs from an earlier age. Furthermore intensive price cutting in high street Hi-Fi chain stores meant Ferrographs, Brenells and other specialist British decks received ever less coverage in the consumer driven hi-fi press, resulting in fewer sales. 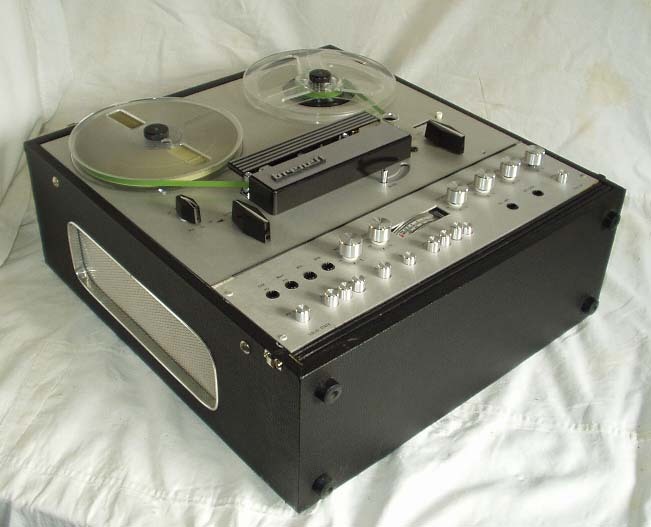 Fortunately for Brenell and Ferrograph, they had long secured a strong presence in MoD, Government departments at home and abroad and the BBC, who used many Mk.5s for programme editors and researchers to listen to copies of master tapes, gradually replaced them with the Mk.6. There was still a strong demand in research and industry for process controls but with the decline in the lucrative domestic market, which provided the crucial cash flow to secure the development of their professional models, things looked bleak. Frank Underhill had already developed a new professional/industrial and studio deck, the Type 19 deck (see next chapter), but there remained scope for a high quality model for the serious audiophile, or studio monitor. 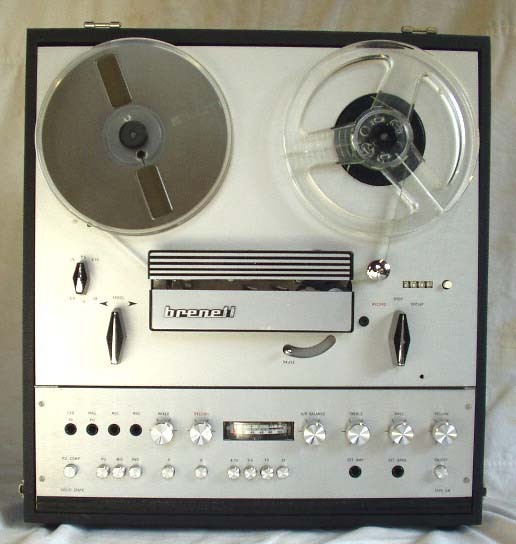 Thus, in 1973 Brenell launched a new 10-1/2" model, the superb IC-2000 which, despite sharing the Mk.610 stereo deck had a new pressure pad free, parabolic tape path and was identified further by new, rectangular aluminium control knobs. Ironically, as the 10-1/2" reels clashed with the conventional speed control knob, the ancient Mk.4's 'Viking hat' pause control knob was re-adopted! It also had a new studio quality pre-amplifier (with some Toshiba components) with phono stage and a powerful 15W output stage for the internal, studio quality, FANE monitor speakers, boasting a stunning performance and frequency response in excess of 22,000 Hz. While there was no mixing facility, it retained bias adjustment and A:B monitoring allowing it to function as a stereo mastering deck. With good reason, Brenell marketed it as "The heart of a Hi-Fi system" - which indeed it was - for it also incorporated for the first time DIN sockets alongside standard 1/4" jacks mounted on a somewhat inaccessible rear panel, all housed in a modern teak clad case which still looks good today and remains the author's favourite Brenell despite its faults! 'IC-2000' suggested Integrated Circuits and 21st century technology - yet its unique pre-amplifier's assembly suffered from radio frequency interference (on a good day it has picked up short wave radio from Tokyo and Denver): this was eventually solved. The case also used folded steel panels with teak side panels for the speakers, which made access to the deck mechanism and electronics for servicing, frustratingly difficult. Both 1/4 track and 4th head versions were available to order, but it was a short lived model and both it and the ST200/400 became the first casualties following Robert Hahn's retirement in 1975. In the absence of surviving factory ledgers, I am collating Brenell (also Thermionic Products and Truvox) serial numbers to try and determine dates of specification changes and production levels. In common with most industries, serial numbers were often designed to mislead competitors! Early Brenell models, the Sound Master to early 'gold with ivory head cover' Mk.5, appear to have used a paper label, as did later pre-amplifiers. Please also note there are variants of the 'gold/ivory' Mk.5: 3 x BT-H 1103 motors; 2 x BT-H 1103 + BT-H 1303 capstan (alloy spider frame), 3 x AEI - also some had a take-up spool back-tension arm. Papst motor models had black head covers and from thereon have the serial number stamped to the deck's underside, in one corner, later repeated with pre-amp number on the manufacturer's label in the lid. The Types 19 and 600 were not apparently, numbered.